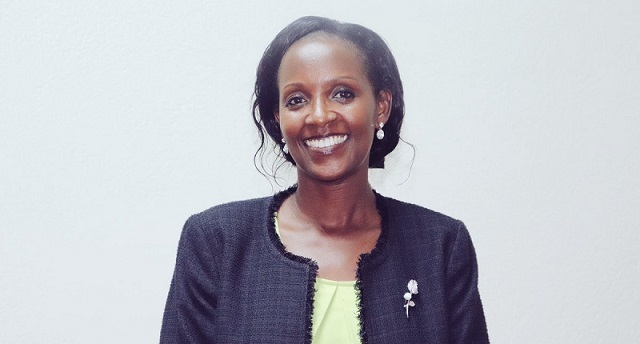 MAKERERE – Ms Lorna Magara was on Thursday elected the new chairperson of the Makerere University Council, the highest decision making organ at the institution. In a rigorous exercise that lasted about 5 hours, Magara, who is the principal of Vine International Christian Academy, polled 11 out of 17 votes cast, beating Steven Kagoda, the former permanent secretary internal affairs. One member abstained. She will be deputized by Dan Kidega, the former speaker of East African General Assembly who scooped all the 18 votes from all members. Kidega has been a member of the old council led by Charles Wana-Etyem. Bruce Kabaasa who was the chair appointments board and Thomas Tayeebwa who was representing the government on the old council have also bounced back as public’s representatives on the university council. The University Council is composed of 27 members- some elected from their constituencies such as staff associations, guild body representation and convocation, while others are appointed from the public and ministries such as Finance and Education. According to the Universities and other Tertiary Institutions’ Act, once the council composition is instituted, the members then elect among themselves who will chair the council and the deputy. Under the act, the chairperson and his/her deputy should not be members of staff or students of the university, persons employed by the Public Service or a member of the district council or Parliament. Council is also supposed to elect three members from the public. The tenure of the outgoing council expired on Wednesday and they are slated to hand over office to the new team soon.